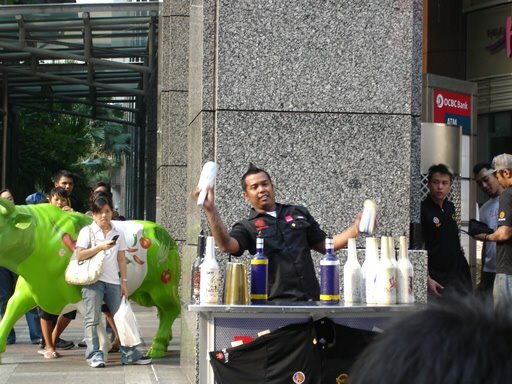 I was walking along Orchard Sunday afternoon and saw this juggling act by the bartenders from the Association of Bartenders Singapore. Hey foreign visitors, if you are visiting Singapore, you should walk along Orchard Road during the weekends. There are lots of things to see. 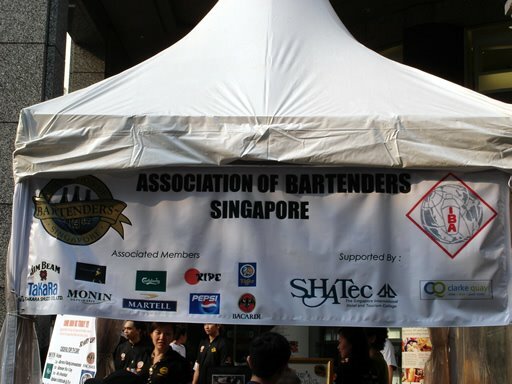 OK. More about Associations, there's also a Orchard Road Business Association and they have this website: www.orchardroad.sg which you visit know more about Shopping at Orchard Road. Aaah...Heeren. Spinelli's is my favourite coffee place in SG. Always have one latte when I arrive and one right before I leave. I like their coffees. How to "chope" (reserve) seats in Singapore. Water from the Tap at 20 cents.